Recently Honk Kong’s Patent Office granted Apple with patents for six iPhone X designs. Seemingly, Apple has gone and gotten its famed “notch”, seen on the iPhone X, patented. The patent consists of six images that protect the entire iPhone X design. This patent covers the backside dual lens camera and the front TrueDepth camera space or what we know as the “notch”. The rest of the patent covers each and every aspect of the iPhone X design to ensure that every aspect of the iPhone X design is protected. Apart from other patent applications, patents dealing with designs do not cover a whole range of details concerning the patent. You apparently just get the bare figures as they stand and not much more. Apple discontinuing its famous notch on the iPhone X? 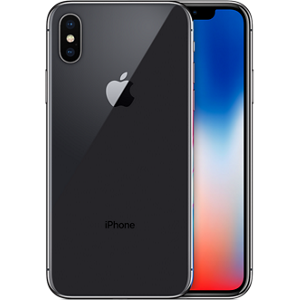 In the U.S. Apple has got a single patent for its iPhone X design, granted to the company in Jan of this year. Those companies out there waiting to jump in on the Apple notch trend in their iPhone X design may want to take care. A poll shows that Apple users were split between liking the notch trend and not. While most users found the notch a tad unnecessary, others felt that the notch on the iPhone X design was a clear design flaw. Apple competitors may want to give the notch a skip when it comes to their next phones. As some of them love to copy what Apple has to offer, it may not come as surprise if you see new phones with the notch scheme on the front. Reports shows the notch trend is on the downward spiral, meaning that competitors may want to steer clear of the unholy notch or “design flaw” on the front of their phones. Apple too seems tired of their notch trend and is planning to drop the same in their iPhone design in 2019. Apple plans on releasing an OLED iPhone which will not have the notch on its design in 2019. This may be a strategy in which Apple is trying to differentiate itself from a Chinese manufacturer who took the notch trend a little too seriously and went in for its next phone’s manufacture with the notch. Apple has also had discussions with its various companies about the new iPhone design, that involves not having a notch on its front screen. The Cupertino company feels that having a full screen, unobstructed by any notch or other “design flaw” will give the iPhone a more complete design. Samsung too has skipped the notch trend on the iPhone X design when it came to their Galaxy S9 offering. They took the Apple route when it came to 3D face recognition and Emoji AR but skipped out on the infamous notch design. This maybe because the company would face a backlash from having copied a not- so – necessary- feature in their design. Apple may plan to drop their notch completely from their iPhone X designs but for now, if these patents are anything to go by, the notch maybe here to stay.